Ultra-fine mist goes on evenly for an instant, natural looking tan. 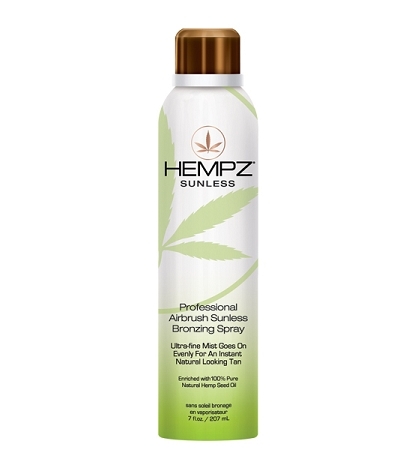 Enriched with 100% Pure Natural Hemp Seed Oil to hydrate, nourish and condition skin leaving it feeling exceptionally soft, smooth and moist from the drying effects of DHA. Continuous spray delivering even results at all angles. Odor control technology helps to eliminate sunless odor.